official Jerry Blum, is leading a charge to increase volunteerism among officials in order to improve the competition experience for Special Olympics Illinois athletes. I’ve been to quite a few athletic events in my time, and I’ve even refereed myself, albeit not nearly at the level of Reczek and Blum. 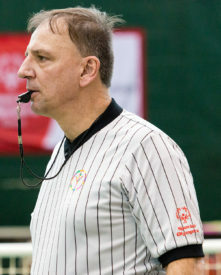 Still, there’s a whole lot I didn’t know about officiating, particularly when it comes to volunteer officiating for Special Olympics competitions. Before I met Reczek, I think I assumed that referees just materialized with the court. You hear their whistles and see them out of the corner of your eye, but you often don’t think about them beyond that. The most attention you might pay a referee is glaring at them and booing obnoxiously when they make a call you don’t like. What you probably take for granted is that these officials are controlling the game so that your athlete and your team can have a great experience. Games can and do run amok. Fights happen. Accidents happen. Without officials to control games, players suffer and so do the fans. 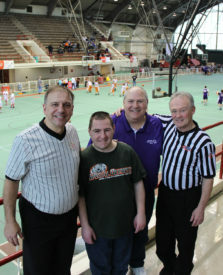 Last weekend, Special Olympics Illinois had the largest State Basketball tournament in its history, with 146 teams competing in Junior High, High School, Female and Senior Divisions. Some games only had two officials, which is not enough at a State-level tournament. 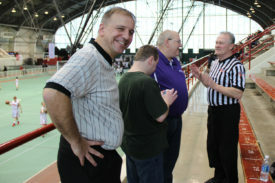 Reczek is right, Special Olympics Illinois events need more officials. Real ones, too. Not the imaginary ones that come with the court. 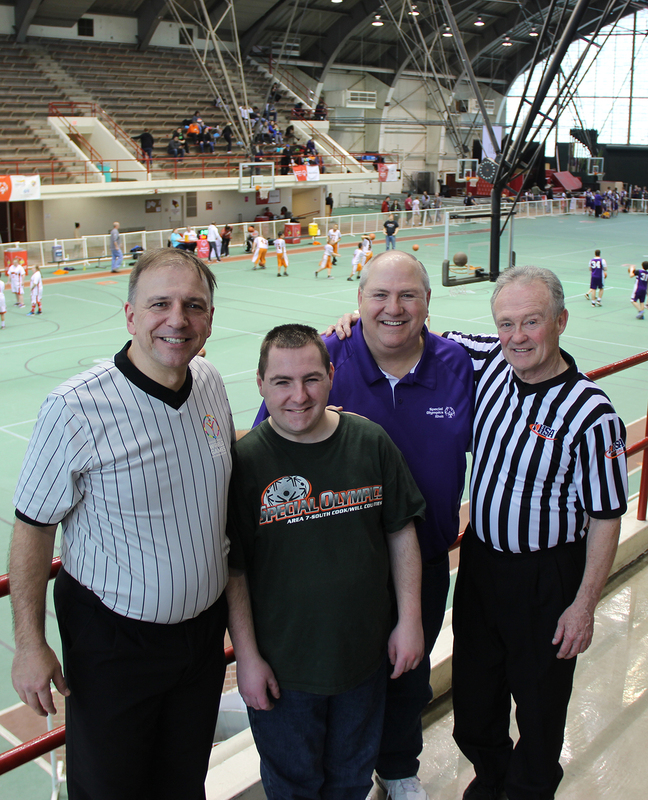 Reczek recruited long-time IHSA official Jack Jost to the Special Olympics Illinois State Basketball Tournament last weekend. 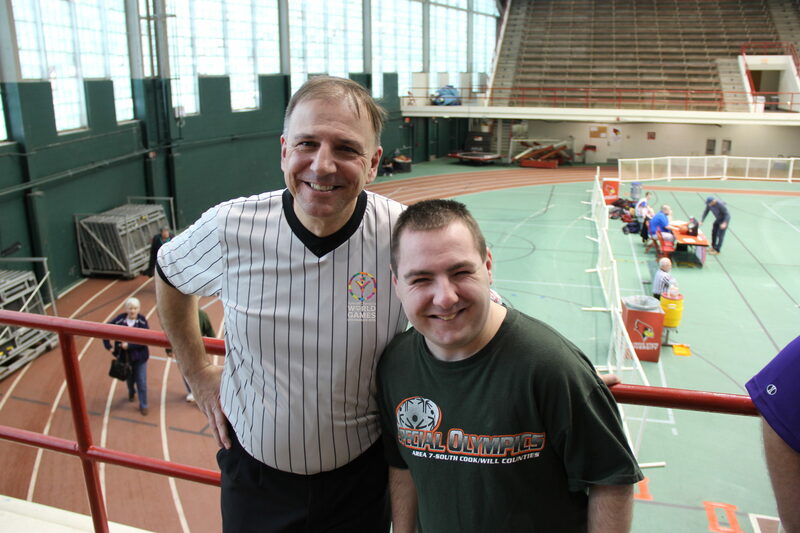 It was Jost’s first time officiating as a volunteer at the event, and when I asked him why he did it, his response shows just what volunteering means to the athlete and volunteers. Volunteer refereeing isn’t about feeling like a hero, either. Neither Jost nor Reczek are looking for their names etched on a golden plaque somewhere. Plaques get dusty. Knowing you’ve truly mattered in another person’s life doesn’t. No, you don’t necessarily get a glorious title for mattering to someone, nor are you rewarded with copious amounts of money or fame. But, you won’t be taken for granted and you won’t be forgotten, and when you get that high-five from the athlete whose smile is wider than the court, you’ll know in your heart that you’ve made a difference and you’ll never want to leave. Doing things for other people – it’s a no-brainer, really. It makes you a better person. It also makes you a happier person. Officials who don’t see the game as a way to give back to others risk being less engaged, which is exactly the kind of person you do NOT want officiating your athlete’s game. So get engaged. Pass this on to officials you know and encourage them to get involved in giving back. If you’re an official yourself, remember why you chose to dedicate a part of your life to the joy of sports and remember that through officiating you can become a better version of yourself. Nick Lorenz, a Lincolnway Special Recreation Association athlete, came to the State Basketball tournament to cheer on his fellow teams. When asked why he loves the officials and particularly Reczek, Lorenz smiled jubilantly. “Bob is in the Hall of Fame!” Which, incidentally, Reczek is—as an honored official in the Illinois Basketball Coaches Association Hall of Fame. But that’s not entirely what Nick meant. There were several high-fives, a bear hug that made me tear up just a little, and lots of smiling before Reczek and Jost jumped into the next game. They did it with a pep in their step and a smile in their eyes that I had neglected to notice before but that I now understood was their reward for officiating today. 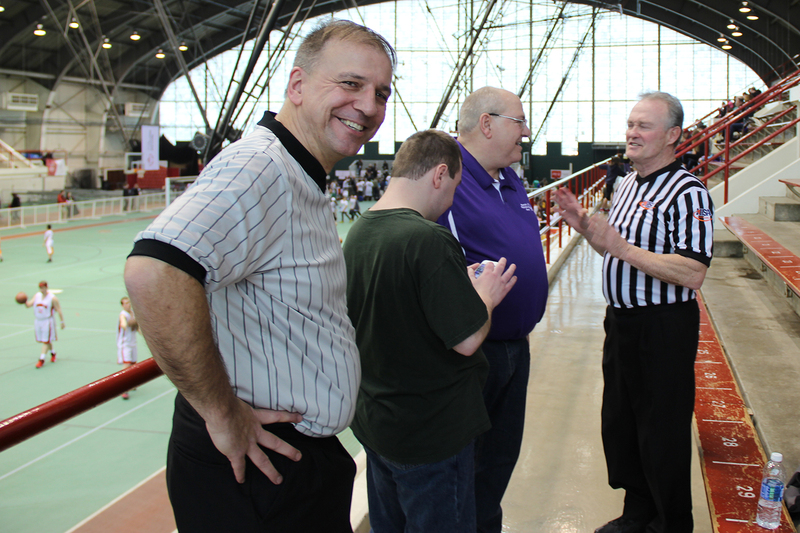 If you want more information about officiating with Special Olympics Illinois, Reczek is always available—it’s a passion, after all, and not just a job. You can reach him via email at 4425reczek@comcast.net.